Pitfall trap found in a plantation. 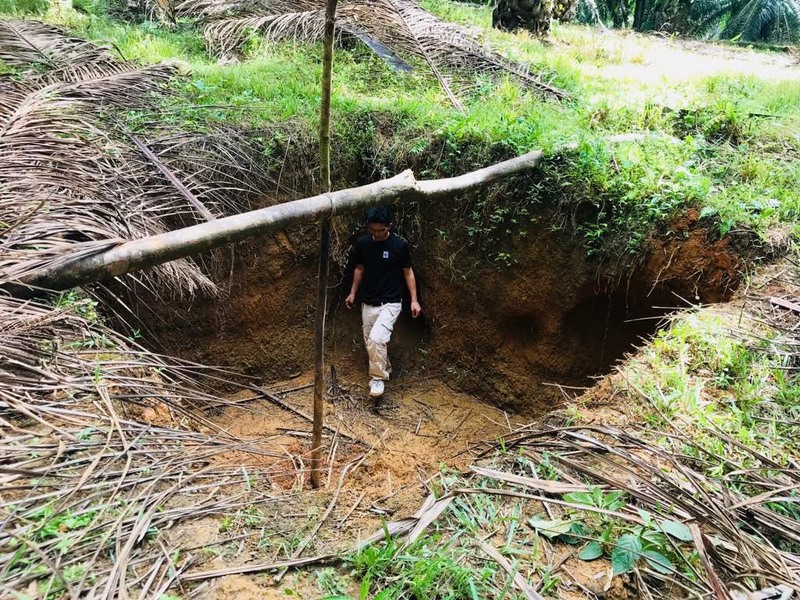 Kota Kinabalu: Despite actions taken by the enforcement authorities and NGOs to end the continuous elephant deaths in Sabah, the fact of the matter is that more and more elephants are dying on our watch. Just last week, we have witnessed yet another elephant death, this time due to a severe snare wound that led to septicaemia and eventually multiple organ failures. The death of this jumbo joins at least 25 other elephant deaths since the beginning of this year. Even more worrisome than the number of elephant deaths are the number of elephants that have died due to strategically placed snare traps within their habitat. 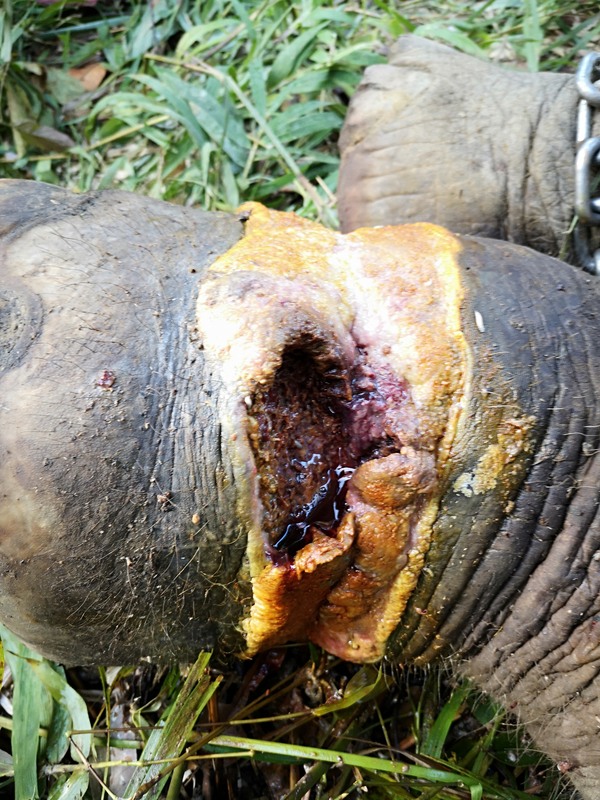 In the past two months, four elephants have died due to snare related injuries. These were all male elephants aged between one to nine years old. All four elephants were found at plantations surrounding the Sungai Taliwas Forest Reserve and Sapagaya Forest Reserve. Snares are commonly used by poachers, where they are placed along animal trails in forest reserves bordering plantations with the intention of catching wild boars and deer. Though elephants are very rarely the target of poachers, they commonly fall victim to these devices. This is because elephants use the same trails as other wildlife causing them to become a product of bycatch since snares indiscriminately kill wildlife. If not treated early, snare wounds causes a slow and painful death for the animal as they lead to severe infection. 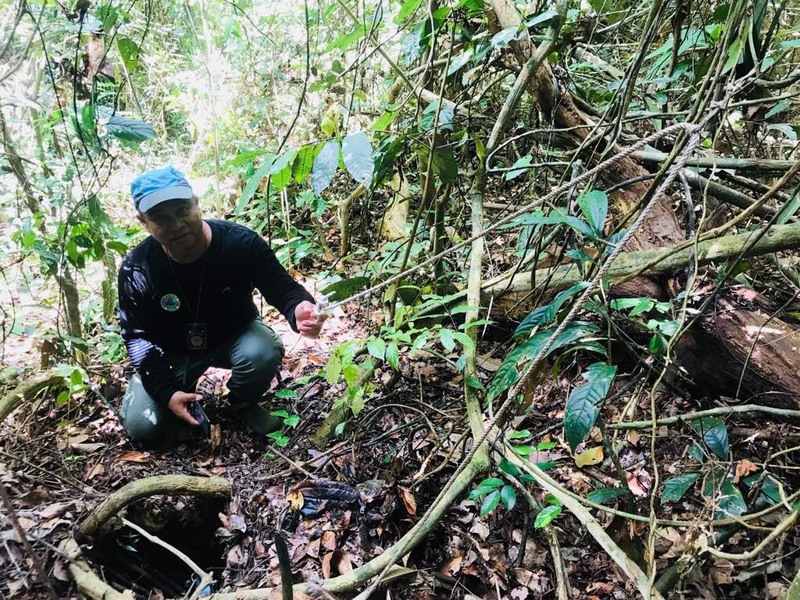 WWF-Malaysia together with the Sabah Forestry Department and the Sabah Wildlife Department have continuously worked together to conduct joint anti snaring operations (Ops Jerat) to remove snares in the forest reserves that are bordering plantations. As of now, five operations have been carried out and through these operations, 25 snares were found in forest reserves. Sixteen hunting platforms were also discovered in both forest reserves and surrounding plantations, and five pitfall traps that measured about seven feet deep were found in these plantations. WWF-Malaysia will continue its Ops Jerat collaboration with the government particularly in identified poaching hot spots. Currently, the Sabah Wildlife Department is investigating known suspects and have raided their quarters in search for incriminating evidences. WWF-Malaysia has previously called for the amendment of the Wildlife Conservation Enactment 1997 to include a strict liability provision for private landowners to be held accountable and would have to prove their innocence should a death of an elephant occur on their land or evidence of illegal activities such as snares, hunting platforms and pitfall traps are found in their area. Through this provision, the burden of proof will be reversed, which would mean that it no longer lies with the prosecutors. The organisation reiterates its call for the amendment and strongly urges the government to look into the matter urgently. It recognises that this provision has several loopholes that needs to be addressed before it can be implemented. With this in mind, WWF-Malaysia is open to working together with the government to address them. The organisation suggests holding stakeholder consultations with plantations first in order to allow them to voice their concerns and also provide their recommendations. The time has come for someone to shoulder the responsibility for the death of elephants, especially those occurring on their land. In order to stop the premature deaths of one of Borneo’s most iconic species, strong actions must be taken and they must be taken now. Plantations cannot afford to ignore poaching activities that happen within their land or the land surrounding them simply because they are not participatory to it. Under the Wildlife Conservation Enactment 1997, the Borneo elephants are totally protected species, where the harming or killing of elephant, whether intentional or otherwise, is punishable by law. 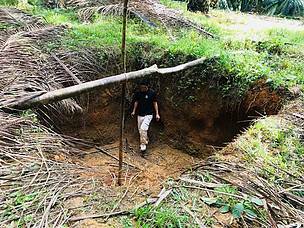 WWF-Malaysia urges plantations to play an active part alongside the government and NGOs in the conservation of elephants in Sabah. Plantation owners and workers can play a significant role by being more vigilant and reporting any suspicious activities to the Sabah Forestry Department and Sabah Wildlife Department. The truth of the matter is that elephants will use plantation landscapes and therefore plantations need to accept that they have to coexist with these animals. If we are not careful, within our lifetime, we could see the complete loss of Borneo elephants in Sabah. Snare wounds will lead to severe infection when not treated early. Snares found during Ops Jerat. 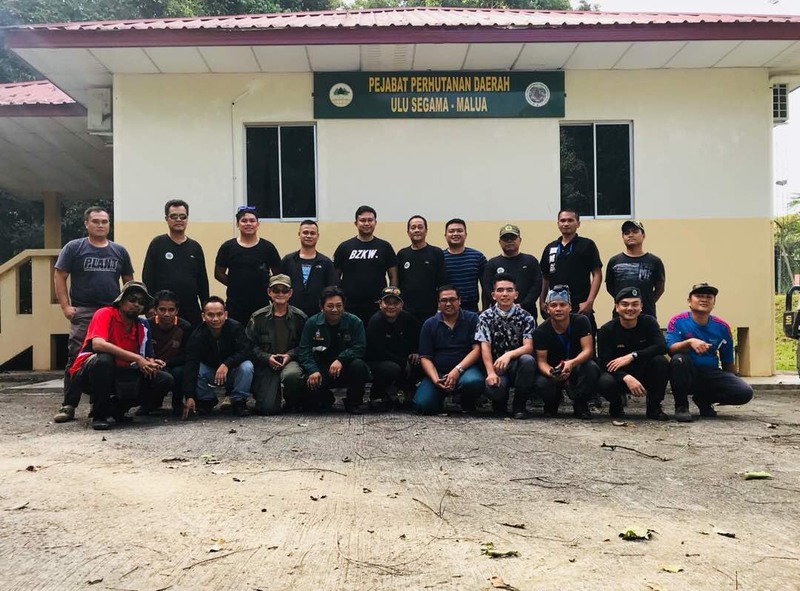 The Ops Jerat team – a collaboration between the Sabah Wildlife Department, the Sabah Forestry Department and WWF-Malaysia.